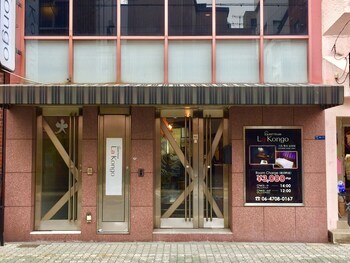 With a stay at Guest House La Kongo - Hostel, you'll be centrally located in Osaka, within a 10-minute drive of Shinsaibashi Shopping Arcade and Tsutenkaku Tower. Featured amenities include a 24-hour front desk, luggage storage, and laundry facilities. A roundtrip airport shuttle is provided for a surcharge (available on request). With a stay at Kinnotake Sengokuhara in Hakone, you'll be a 1-minute walk from Sengokuhara Onsen and 9 minutes by foot from Museum of the Little Prince. Free self parking is available onsite. Zeniya-An is in the heart of Kyoto, walking distance from Costume Museum and Higashi Honganji Temple. Self parking (subject to charges) is available onsite. With a stay at this apartment in Tokyo (Ota), you'll be within a 15-minute drive of Kawasaki Daishi and Tokyo Bay. When you stay at The Deer Park Inn in Nara, you'll be connected to the convention center, within a 10-minute walk of Kasuga Shrine and Nara Park. The front desk is staffed during limited hours.